For years, anyone who’s ever searched for a current list of kosher tequilas has no doubt been directed to the website of the largest regional Jewish Orthodox organization in North America, the Chicago Rabbinical Council (cRc). Those same persons were tragically disheartened by the woefully meager list of kosher tequilas–and these days–unmentioned mezcals. And of the brands that were listed, more often than not, were now, sadly, extinct. This old, outdated, and unreliable list is not only supposed to be a guide to fully enjoy and appreciate the Jewish holidays and to help “keep kosher” year round, but it also serves Muslims, Seventh Day Adventists, Vegetarians, Vegans and even people who are lactose or glucose intolerant. What Exactly Is Kosher, Anyway? For us gentiles (non-Jews), Kashrut is the set of Jewish religious dietary laws. Food that may be consumed according to halakha (Jewish law) is deemed kosher meaning fit, and in this case, fit for eating or drinking. In every case, approved products are given a hechsher, a rabbinical seal of approval, by a trusted and reputable kosher certifying agency that signifies the food or drink conforms to Jewish law. Here’s a helpful Kosher glossary of terms. Historically, the practice of marking food as kashrut dates back as far as the Byzantine period (6th century CE) where Jews of a particular region in Israel stamped their bread dough with impressions of the Jewish Temple Menorah in order for consumers to verify its kashrut. Decades later, kosher has come to symbolize both quality and value. It has also become a very lucrative market according Menachem Lubinsky, founder of the annual two-day Kosherfest trade fair. As of 2015, he estimates there are as many as 14 million kosher consumers that generate $40 billion in sales of kosher products in the US alone. Other sources estimate that over $150 billion of kosher-certified products are consumed every year in the US. 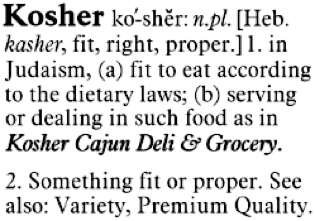 A kosher certification agency is an organization that bestows a hechsher to ingredients, packaged foods, beverages, and certain materials, as well as food-service providers and facilities in which kosher food is prepared or served. 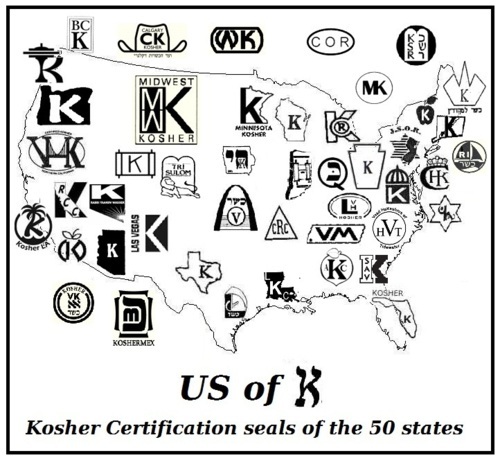 This certification verifies that the ingredients, production methods, and/or food-service processes and utensils complies with the standards of kashrut. To be certified requires periodic onsite visits, sometimes unannounced, by mashgichim (rabbinic field representatives) in order to verify ongoing compliance. EarthKosher based in Colorado, the logo of both the Johannesburg/Cape Town Beth Din used in South Africa, MK headquartered in Montreal, Canada, and The Kashrut Authority in Sydney, Australia. Operating across six continents including the United Kingdom, KLBD, based in London, is the Kashrut Division of the London Beth Din. By far, the greatest number of agencies seems to be in the USA. 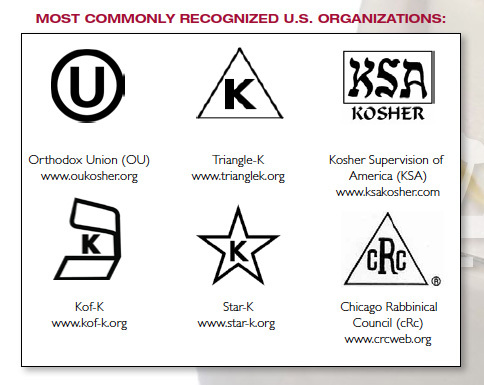 Kashrus Magazine publishes a bi-annual guide to almost all kosher certifying agencies worldwide. As with the tequila NOM lists, the number of agencies, just like the number of tequila brands and distilleries, fluctuates from year to year. At press time, this number is between 1,151 to 1,253. 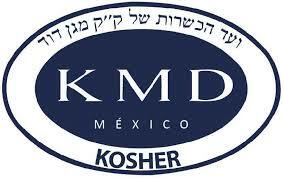 In Mexico and throughout Latin America, however, KA-Kosher and Kosher Maguen David (KMD) rule the roost when it comes to certifying products as kosher. 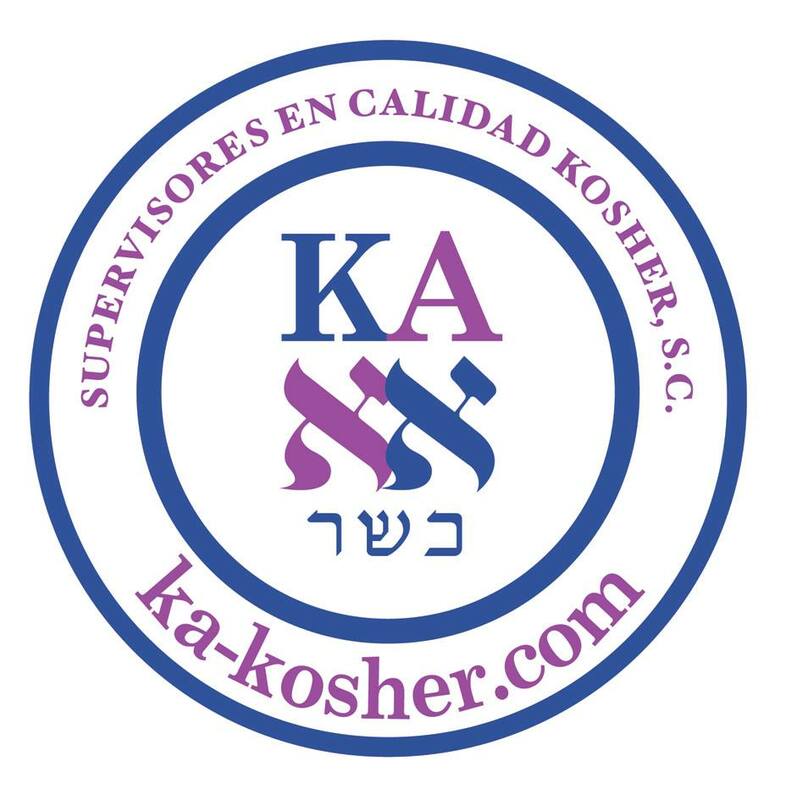 KMD’s current website makes even bolder claims such as “Es la empresa líder en certificación kosher en Latinoamérica” (“The leading company in kosher certification in Latin America.”). It also cites statistics that Mexico is the fourth largest kosher market behind Israel, the United States, and France, and that sales of kosher products, presumably in these countries, exceeds non-kosher sales by 20 percent. KMD also states that 80 percent of kosher sales are to non-Jewish consumers. 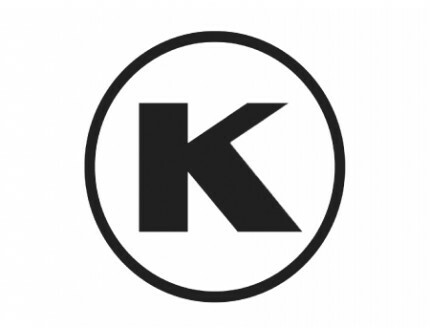 KMD, stems from the Sephardic community of Jews and is known to follow the strictest codes and standards of kashrut, referred to as Mehadrin. Similar to organic certifying agencies, having your tequila or mezcal brand approved as kosher requires that you hire one of these kosher certifying agencies. Like buying a car, you don’t necessarily need to purchase one from a local dealership. You can go anywhere in the world, but with so many certifying agencies and what seems like varying degrees of inspection, can you feel confident about purchasing their services? If you’re a tequila or mezcal brand owner considering certification, we’ll offer some tips and steps you can take in Part 2.